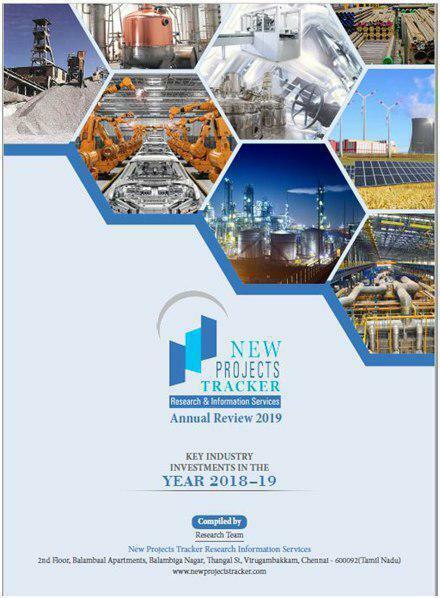 New Projects Tracker, an online platform used for tracking new investments and capex programmes in the key sectors of Indian economy has published a special research report that highlights around 580 key investments that happened in the year 2018-19. This report will give you an idea on what we did last year and provide an insight on what we intend to do in the coming year. * Do you need New Projects Information Regularly? Please feel free to share this report with your business acquaintances and professional network. The report also has includes important statistics in the form of tables and charts that will give you an idea about the new investments in India during the last year.